Have you seen the latest 2018 Mustangs? The latest models from Ford have an all new drive train mode, as well as some of the top performing muscle cars. As a sports car, the Shelby 350 and Shelby 350R have the best performance in the American muscle car market. 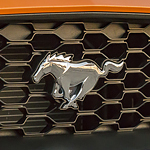 These models put out over 526 horsepower, and with handling that lets you grip the road easily, the Mustang is able to travel easily around wind, curving roads. There are a lot of upgrades to consider with the Mustang if you want a vehicle that can take on any road or race. There are actually five selection modes inside of the new Mustang, including a drag race. You can also opt for the MagneRide damping system, which will adjust the way you drive in real-time according to the road conditions. Want to experience the innovative Mustang? Test drive one today at Performance Ford Lincoln Bountiful.